It allows for full customizability for all sorts of things that you might need it to do. It has a very simple “behind the scenes” user interface which is easy to use. It contains options that allow you to quickly modify things in your account forms. It has useful documents that can help you in starting up and working with the plugin. It allows the receipt of sent e-mails that are very much easy to read and comprehend. It comes with a standard and user-friendly form that can be added readily to your WordPress entries. It allows you to create an unlimited number and types of forms for your page. It can be integrated with the Flamingo service to help you save submitted messages. It is free and effective. The plugin can certainly help people who would want to reach their audience in a more personalized way. 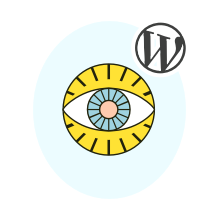 By making use of WordPress plugins like this in your profile and in your blog posts and entries, you allow yourself to be able to receive a more detailed response from your readers by directly reading their mails and messages that are sent directly from their computers and mobile devices. Although it is available for free, you can definitely expect a lot with its services. You can style Contact Form 7 beautifully with help of Ninja Kick: WordPress Contact Form plugin. Contact Form 7 has a lot of capabilities that can certainly help you in improving the quality and accessibility of your blog posts in WordPress.